Diodes will prevent electricity from flowing back into solar panels (at night and on very cloudy days) or into wind generators (when there is little or no wind). In short, they prevent your battery banks from losing their stored energy. This diode is especially useful for solar panels where it is important to keep forward voltage drops to an absolute minimum. 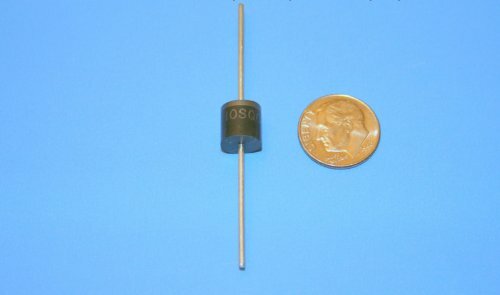 Simply put, this is a reliable diode with a high current rating and a low forward voltage drop.